One of my favorite characters in the old bike scene has left the saddle, and the world is poorer for his absence. 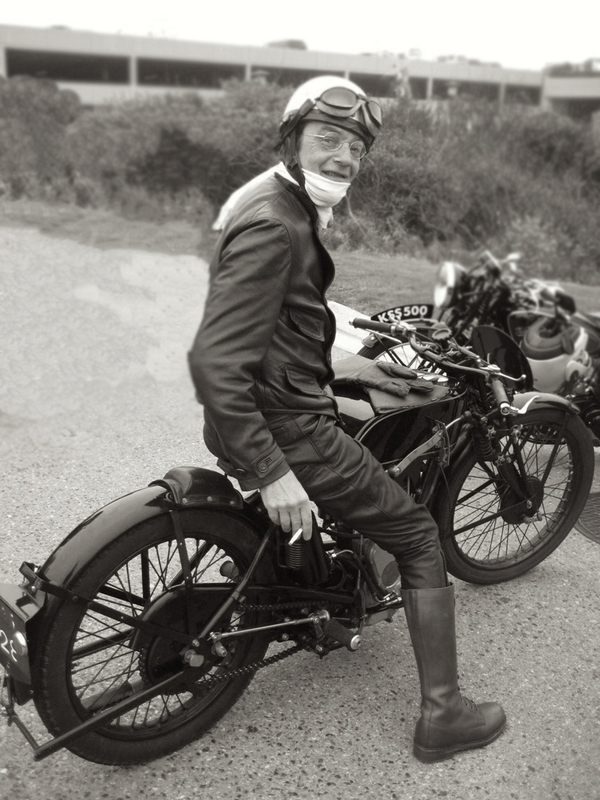 Dr. George Cohen, otherwise known as ‘Norton George’ for his devotion to single-cylinder Nortons (plus a certain Rem Fowler’s Peugeot-engined TT racer), fought well against an aggressive cancer diagnosed late last year, but knew the jig was up, that swarf had fouled his mains and blocked the oil lines. What he leaves behind for those lucky enough to have called him friend, is a ton of wry memories, and his distinctive voice echoing through our heads, with some crack about our terrible workshops, ill-prepared machinery, or silly ideas. He was mad as a hatter for sure, but a hell of a lot of fun to be around. 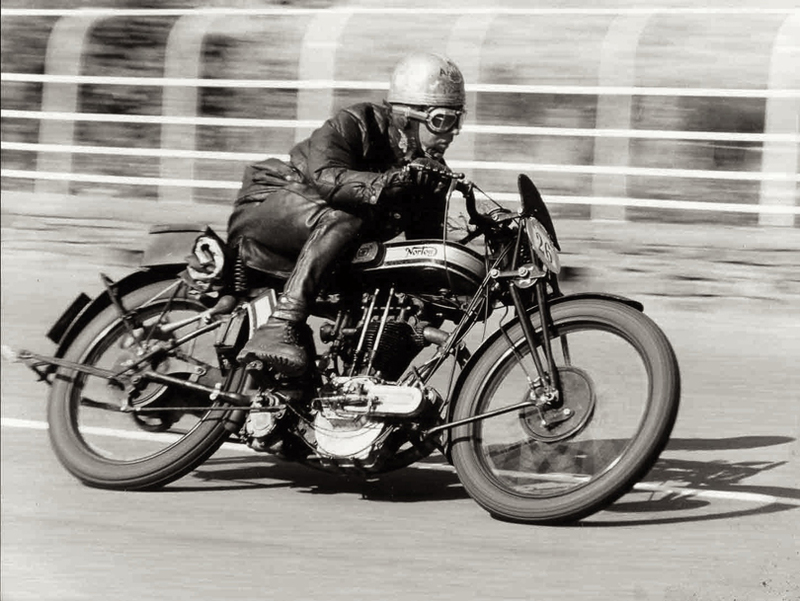 George was also a devotee of using his vintage machinery to the hilt, blasting his favorite 1927 Model 18 Norton racer on the Isle of Man, and the roads around his ‘Somerset Shed’. Arriving by train for a visit to George’s sprawling country estate was an exercise in bravery, as he’d likely pick you up in his 1926 Norton Model 44 racer with alloy ‘zeppelin’ sidecar. Strapping your luggage on the back, and no helmet required, meant you experienced the full terror of an ancient, poorly braked but surprisingly quick big single in flight along the ultra-narrow, deeply dug-in Roman roads of the area. The mighty Bonk of the Norton’s empty Brooklands ‘can’ reverberated along the 8′ deep earthen walls, as we tore around blind corners of these unique Somerset roads like Mr Toad and Co., headed for home the fastest way possible. Unforgettable! George visited the USA a few times, and we were fellow judges at the Legends of the Motorcycle Concours in 2008, at the Ritz-Carlton hotel in Half Moon Bay. 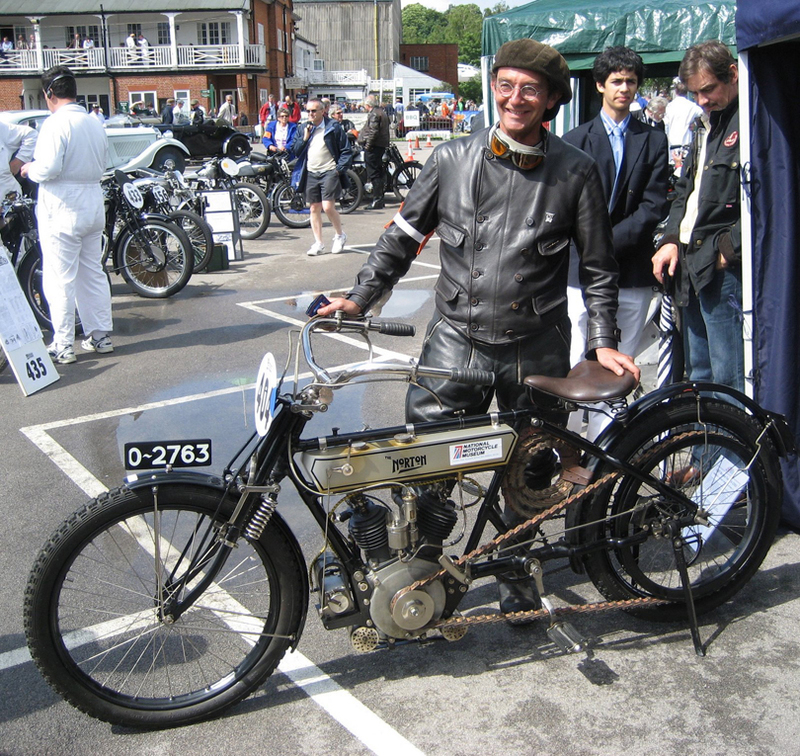 I’d brought two bikes for us to swap on the Sunday morning Legends Ride – neither a Norton, although I had a 1925 Model 18 racer at the time (it was hors de combat from my own relentless flogging). 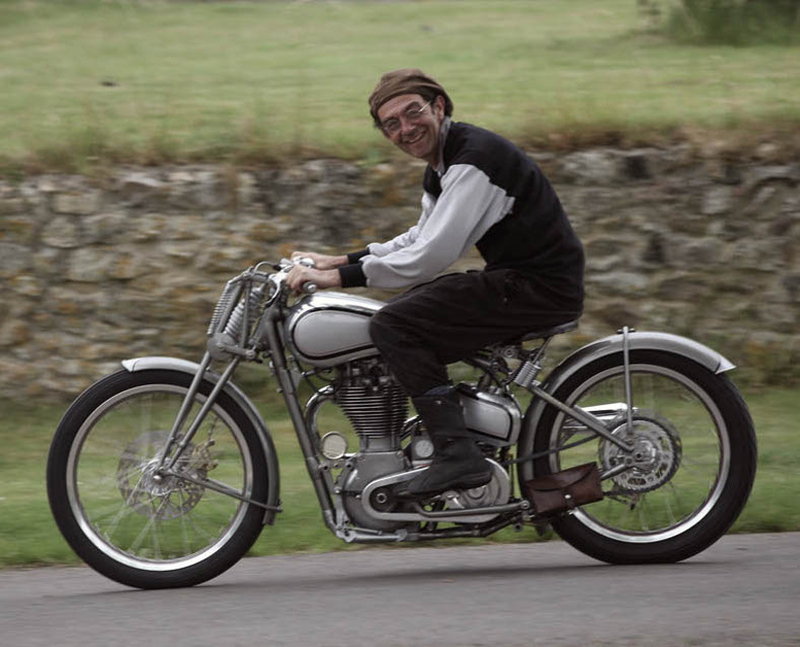 So George got to experience a vintage Sunbeam for the first time, as the photos show, which he quite liked (‘My Norton is faster’, of course he said), but preferred a spin on ‘The Mule’, my 1933 Velocette KTT mk4, which shared his favorite Norton’s camshaft up top. 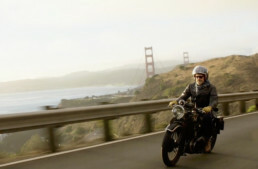 Well actually it was the other way ’round, as Norton copied the Velocette design! Which he grudgingly admitted with a half-smile as he hand-rolled another cig. 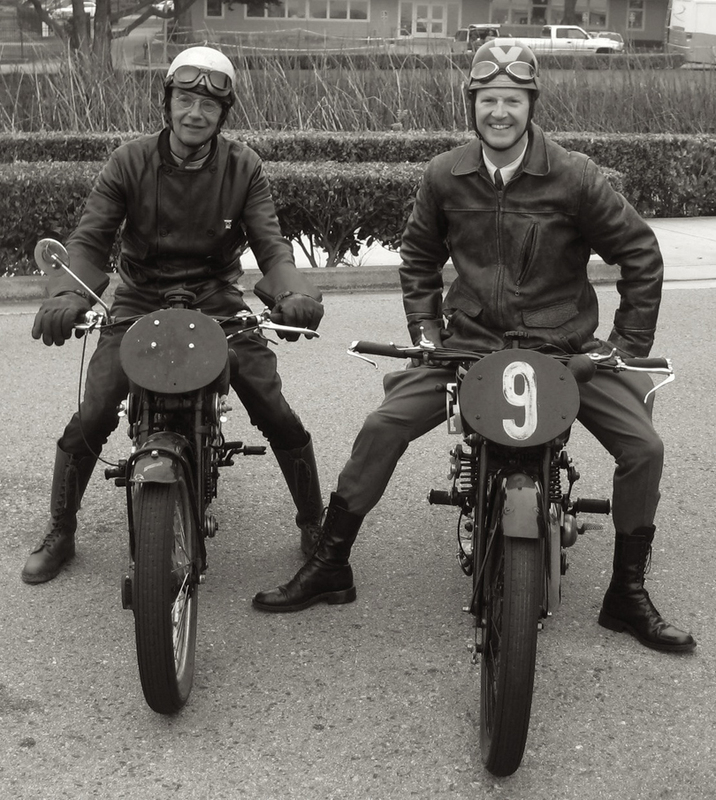 George and myself in 2008, with my Velocette KTT and Sunbeam TT90 – sorry no Nortons that day! 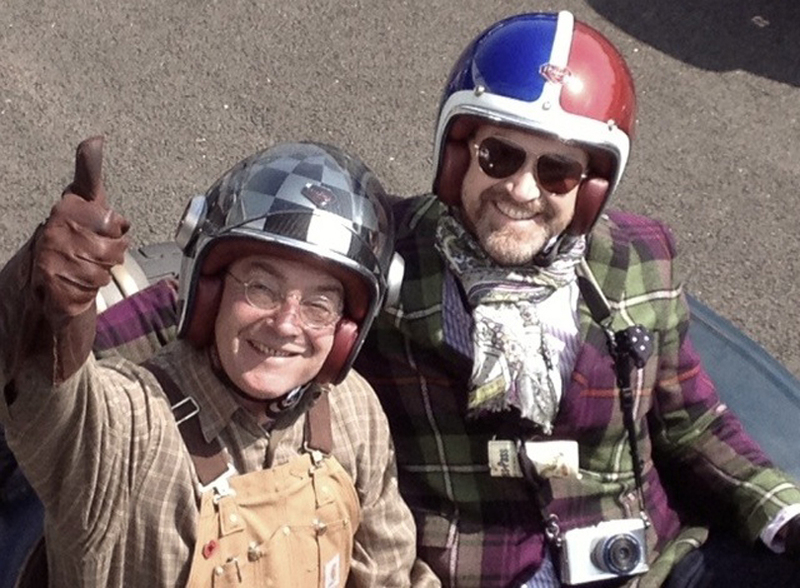 A few days prior, we’d picked up a pair of racing Nortons from California collector Paul Adams, which were entered into the Concours, and it would be hard to imagine two more dissimilar characters, who both loved Nortons with passion. Paul Adams is an ex-Navy pilot of many years’ experience, with the unflappable reserve of a military man, and George, well, flapped. Those two were chalk and cheese, and barely kept from breaking into open argument! Still, George later admitted Paul had a very nice collection, and that his workshop was really clean. Something else he left behind; his incredible self-published love poem to Norton, created from his personal archive of early factory press materials, photos, and documents – ‘Flat Tank Norton’. If you’re a fan of early Nortons, it’s essential reading, and an entertaining mix – some of the early photos of James Landsdowne Norton himself can be found nowhere else. ‘Flat Tank Norton’ is the kind of book only a devoted enthusiast can produce, as a publisher would have squeezed out the quirks to increase ‘general interest’, but they would have taken out the George factor, which is what give the book its tremendous charm. It needs a reprint, as copies run on Amazon for nearly $1000! 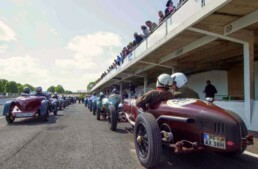 Another memorable moment with George came not on a bike, but in one of his select few cars, at the 2013 Vintage Revival Montlhéry meeting. He’d brought his c.1908 Brasier Voiture de Course after breaking down somewhere in France, while driving the all-chain drive monster all the way from his Somerset home. He’d sorted the brakeless beast, and was enjoying flying laps around the banking, and offered me a ride, which I accepted with something like fear. George drove like he rode, and the Brasier had no seat belts, roll bars, suspension to speak of, or front brakes, but it did have an enormous 12 Liter Hispano-Suiza V-8 OHC aeroplane engine with 220hp on tap! I put myself in the hands of Fate, and George. I climbed aboard, clinging to the scuttle, and filmed the ordeal with one hand, laughing 100% of the time, as he slid the rear end on the short corners, and got as high up the banking as he could, while the behemoth shuddered, roared, bucked, and squealed. Unforgettable, just like the man. George with one of his many ‘specials’ built for customers like Dunhill. George with the re-created Rem Fowler Norton, winner of the very first Isle of Man TT in 1907. 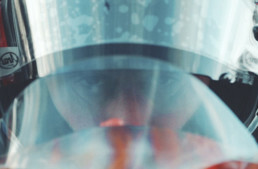 He rebuilt the machine entirely after the disastrous National Motorcycle Museum fire. Thumbs up George! I hate to say it, but goodbye friend. Whatever one thinks, George was quite harsh when he couldn’t get what he wanted & I had been told he passed by over a Decade ago. 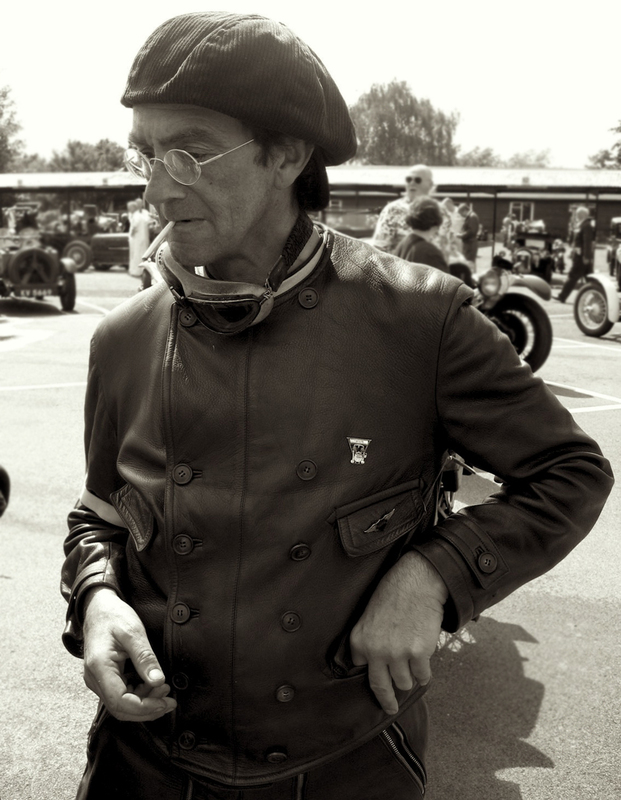 I thought I saw him at the Centenary at Brooklands (on a Bike), but do regret allowing him to use some old photography in The Flat Tank Norton Book. At least he did not see everything I had, as I still recall how not wishing to make money was mentioned & I did get a credit….I have seen the price nowadays & it was a Ltd edition of 2,500 copies at £40. If you know where the current proceeds are going (Profit), I will happily share it, or the one on my Great Grandfather (Dan O’Donovan) will have to be removed. I did everything out of good will & a friend showed me what it is selling for the other day, so please pass on the Information to whomever is making a fortune out of the Book, as I own many Originals. George Cohen died May 27, 2016.’Flat Tank Norton’ was self-published in 2006, with an edition of 2000 copies, and sold out within two years. In other words, George is dead, and the book is long out of print. Any copies sold today are from private collectors, not from George or his family. It’s unfortunate you begrudge George a little success in publishing, as I’m sure it was as much a surprise to him as to you. Making more than a pittance for a motorcycle author is something of a miracle, perhaps an ‘Old Miracle’, even. Well said Paul … O’Donovan needs to man up and let it go, he has done himself no service with his bitching.